A while back, Terry Doherty asked some questions about what makes me and this blog tick. I thought you might be interested. Within the interview, I explain what I mean by Creative Literacy, something readers may have wondered about since a Letter to the Book Chook two days ago. • for information. Whenever I want to learn something new, I borrow a library book, or google my topic to find out about it. • for entertainment. When my work is done for the day, even though my work is mostly reading and writing, I turn to books as distraction and a source of pleasure. Adding chocolate just makes it an unbeatable combo! My favourite books are those that make me laugh, and those that make me feel good. • to experience thrills and danger, solve mysteries, be swept on a tide of high-octane adventure. I don't have the courage for those thrills in real life! • to enter the mind, the feelings and the experiences of other people. Maybe I have voyeuristic tendencies, who knows, but I enjoy books that make me forget my reality for a little while, and allow me access to the endless fascination of someone else's life. Why is reading important for kids? I think of reading as the magical key to the Kingdom of Education. And I truly believe that a child's future success and happiness depend on their education. That education doesn't have to take place in a traditional school, but it does rely on a child being able to read in order for them to access the knowledge, skills and understandings they will need. Why is creative literacy important? 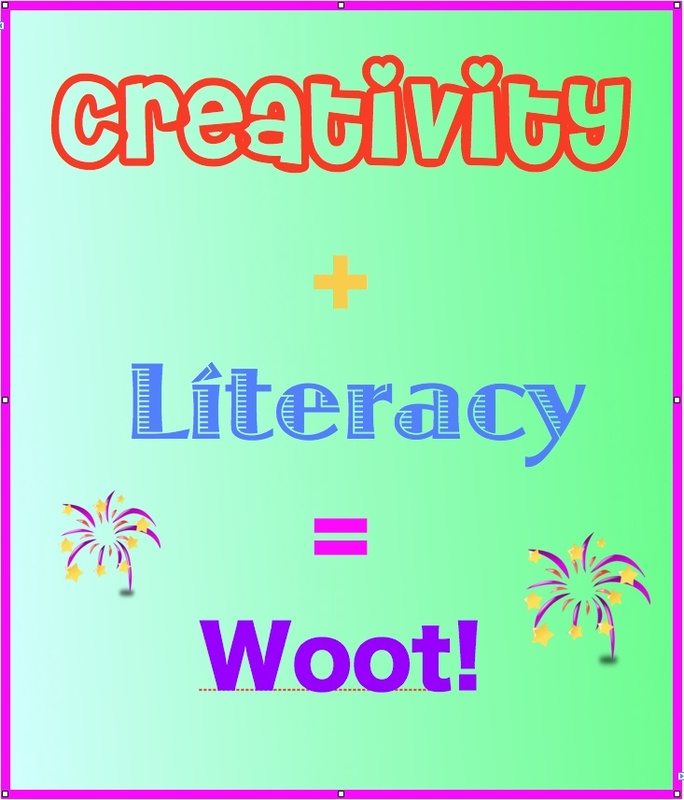 Functional literacy is important too, but creative literacy is another of my many passions. Functional literacy means that kids can read and respond to forms, access a bus timetable, or scan a newspaper for an article of interest. Creative literacy, the way I define it, is reading, writing, and communicating beyond the purely functional level. It involves higher order thinking skills like experimenting, designing, creating and evaluating. In practical terms, it can mean encouraging children to write their own poetry, use a picture book as a model for their own writing, or produce a podcast about sport in their neighbourhood. Linking writing or reading with art, drama, dance, architecture or even tiddlywinks can be motivating for kids. It gives them a chance to engage with an authentic audience, and link a personal interest or talent with literacy skills. I believe there is a huge well of creativity inside each of us. For many reasons, lots of us don't have the chance to express our own creativity. And it is that very quality of creativity that is needed for our society to survive. We need people who can think outside the box. We need scientists who can find creative solutions to the problems that plague us. We need inventors and artists and statesmen and engineers who can design, mix, re-mix, experiment and persist until they reach a resolution. So to me, creative literacy is a no-brainer. Let's encourage our children to involve themselves in all sorts of creative activities. Let's link creativity and literacy at every opportunity. Let's show them our own engagement with text and media, and encourage them to think about their involvement with it. In practical terms, this might mean reading a picture book about trains aloud. We can ask questions to provoke thought after reading - why do you think the little train was sad? if you were a train, where would you like to go? We can suggest followup activities - how could we make a track for a train on our floor? what if a train went under water? can we think of a way to keep our toy train dry in the bath tub? Let's tell Grandma about the train book. How can we send her a message? One thing that excites me most about being alive right now (and I'm so excited to be alive right now!) is what technology offers young readers, writers and communicators. I particularly adore the websites that encourage and motivate kids to create stories. Story - I am not just talking books, story is as old as the caveman and as modern as Youtube - is inherent in human beings. Every culture revolves around story and its transmission. From creating their own digital picture books at Storybird, to using Doink to animate their favourite robot, to videoing plays they've created themselves, kids are learning and practising literacy skills almost without realising. Technology is accessible to a wide range of young people, and gives them a vehicle to express themselves creatively. It also gives them the head start they will need for 21st C professions. A win-win situation! 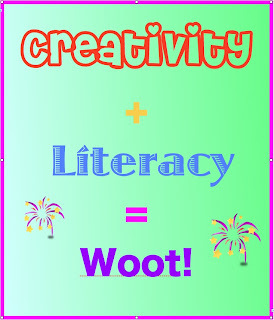 Anyone else think creativity and literacy are a perfect combination? What are some activities you or your kids enjoy that combine the two?